Gower Riders Cycling Club is celebrating after being recognised in two categories at Welsh Cycling’s prestigious annual awards. 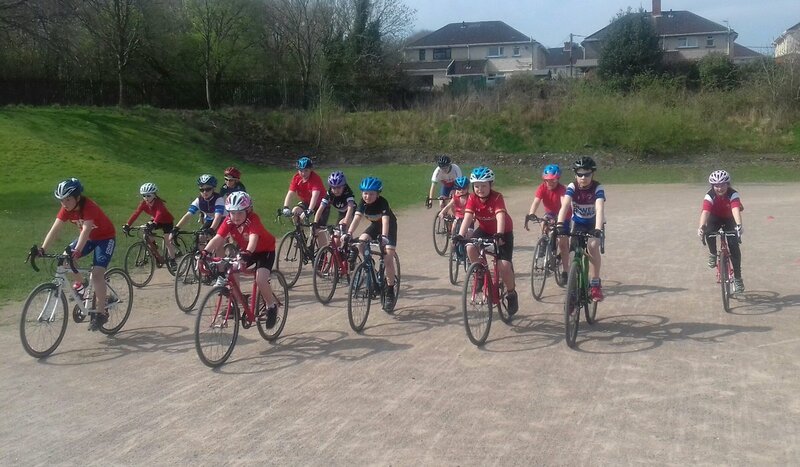 The Gowerton-based club have been shortlisted in the Go-Ride Club of the Year category, whilst the club’s Imogen Morris is up for the Junior Cyclist of the Year award. The Go-Ride Club of the Year shortlisting is as a result of the club’s commitment to providing fun, safe cycling sessions for children. Promising young cyclist, Imogen Morris’ nomination caps a phenomenal year for the Ysgol Gyfun Gwyr pupil, which has seen her crowned Welsh Circuit Racing Champion and Welsh Track Champion. “We are delighted to have been shortlisted for Welsh Cycling Awards. We are really proud of our Go-Ride programme for providing a great introduction to competitive cycling for young people. Our Saturday morning sessions are particularly popular with children of all ages and we are delighted to see their efforts and enthusiasm recognised with this nomination. “I was really excited when I found out I had been shortlisted for this award. Winning two Welsh Championships this year has been fantastic and I would love to win this award too. The winners of the 2018 Welsh Cycling Awards will be announced at a special ceremony at the Holland House Hotel in Cardiff on Saturday 20th October. Eight young Swansea cyclists enjoyed a very special day as they took part in the homecoming celebration for Tour de France winner, Geraint Thomas in Cardiff. The event saw members of the Gower Riders cycling club join Thomas and a peloton of other young riders from Welsh Cycling Go Ride clubs to ride through the streets of Cardiff in front of thousands of fans. Two members were nominated by the club with the others taking part as members of Welsh Cycling’s Youth Ambassadors programme. This meant that Imogen Morris, Rhys Thomas, Noah Rees, Ben Fox, Kieron Heuberger, Aled Davies and Elen Govier all got the chance to experience this one in a life time opportunity. Reserve cyclist Lucy Rees was also invited to join the ride. The ride, which started on St Mary’s Street and ended outside Cardiff Castle saw the Tour de France winner take to the stage to thank fans for their support. “Everyone at Gower Riders is absolutely thrilled that some of our young riders had the opportunity to take part in the ride with Geraint. We were delighted when two of our youth riders were invited, but to see our Youth Ambassadors also being asked to join in is very special indeed. The day will no doubt live long in their memories as they embark on their own cycling journeys. Congratulations to six of our youth riders who have been selected to become Welsh Cycling Youth Ambassadors. The Youth Ambassadors role offers young people the opportunity to be a part of Welsh Cycling and promote and support the sport of cycling throughout Wales. There will be no Go Ride this Saturday 14th July. But there is no need to worry, as it is Round 2 of mini league this Sunday 15th July and we’re all super excited. Gower Riders Cycling Club has enjoyed more success with a memorable evening at the Abergavenny Festival of Cycling. The festival, one of the highlights of the Welsh cycling calendar, saw the Swansea based club dominate, taking victories in three different races. The first victory of the evening went to Kellan Heuberger who crossed the line ahead of his rivals to claim the win in the boys under eight race. It was then the turn of Lara Elias to taste victory when she pulled away from the field on the final climb to take the honours in the girls under eight race. She was joined on the podium by team-mate Katie Evans who finished third. The successful night was then rounded off when reigning Welsh circuit racing champion, Imogen Morris, took victory in the girls under 12 race. “As a club we’re really proud of everyone who competed here tonight. The victories for Kellan, Lara and Imogen are just rewards for the hard work they put in week in, week out. All three are regulars at our Saturday morning Go-Ride sessions where they learn the skills needed to be a successful cyclist. Gower Riders’ popular GoRide sessions are held at Gowerton Comprehensive School every Saturday morning at 9:45. The sessions include bike handling and skills sessions as well as fun races. The sessions are open to anyone aged 6-16.